Saturday 12 and Sunday 13 May will play host to a Sportster weekend at all authorised Harley-Davidson dealerships across the UK & Ireland. 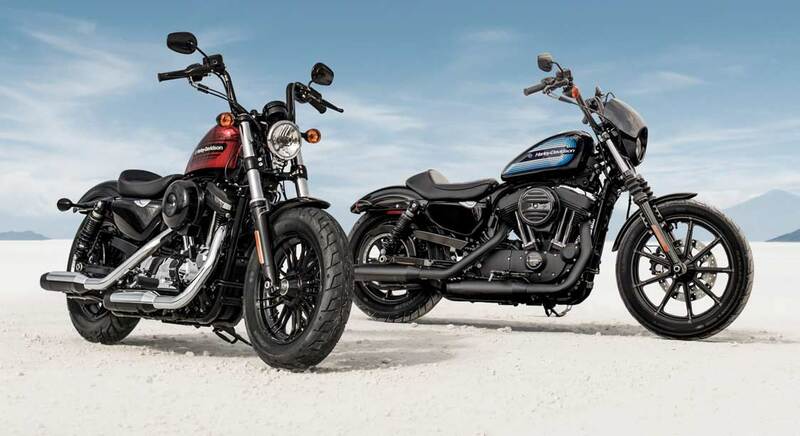 You will have the opportunity to test ride the latest Sportster models including the new Forty-Eight® Special and Iron 1200™. The Iron 1200™ delivers extra power to one of our most popular machines with a 1202cc Evolution® 1200 V-Twin engine delivering 36% more power than the Iron 883. Its distinctive garage-built chopper look and eye-catching graphics coupled with black detailing are sure to draw attention. Prices start from £9,395. Last week, eight of the UK’s media got their hands on the machines for the first time, and the feedback has already been positive. The Iron 1200™ is, according to MCN, ‘the Sportster we’ve been waiting for’ while Ben Lindley of Bike magazine says that the Forty-Eight® Special is ‘aggressive’ and ‘my favourite in the corners’. If you already have a preference, it’s best to book your test ride online in advance to avoid disappointment. Or take the opportunity to test ride other models in the Sportster range, some of which are available on our low-rate finance of 5.9% APR until 31 May. Prices start from just £99 per month for the Iron 883™, Forty-Eight® and Roadster™.